As a big fan of Heathcote & Ivory I was ecstatic when I saw that they are now selling Accessorize products as I have been a lover of all things Accessorize since I was a young girl! 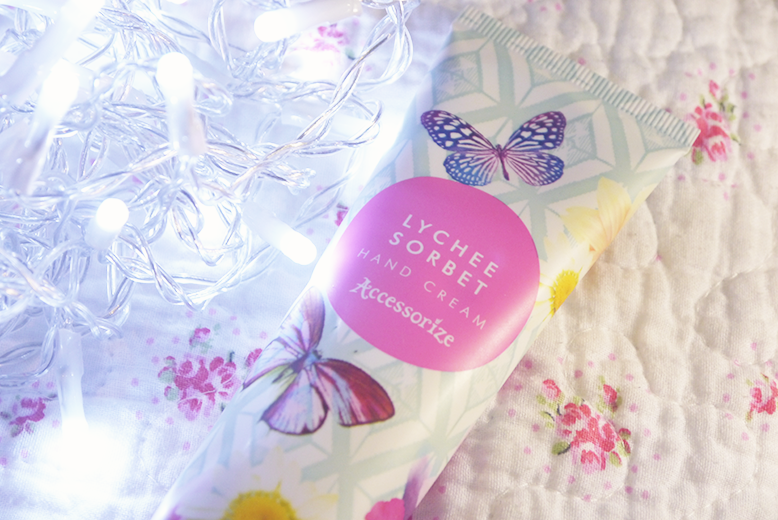 I am a sucker for a hand cream and couldn't wait to try this Lychee Sorbet* scent. 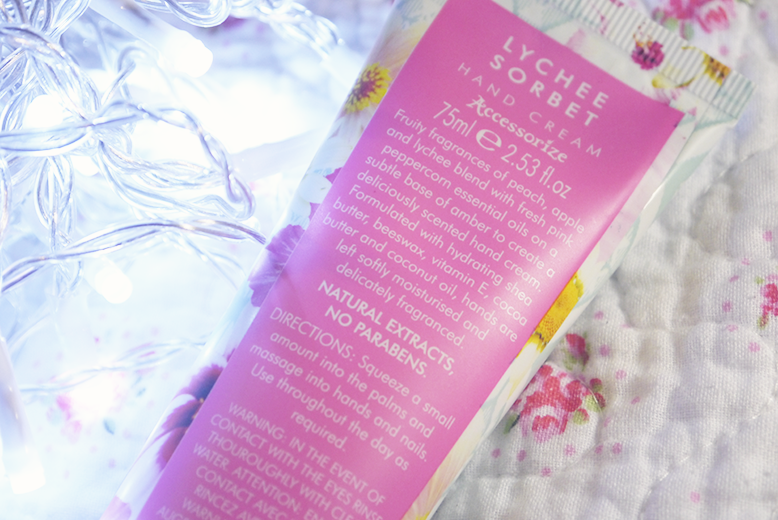 The first thing I noticed and really liked about this hand cream is that it's in a soft metal tube which means it's going to be easier to get out every drop! And how could I not mention the gorgeous packaging, flowers and butterflies to instantly make you happy as you pull it out of your bag. Now let's talk about the scent! I am a huge fan of anything peach scent so could not wait to try this out and was not disappointed! The mix of fresh fruits and the peppercorn leaves a gorgeously rich yet light scent that carries with you like a perfume. It's paraben free and contains shea butter, beeswax, vitamin E, cocoa butter and coconut oil. 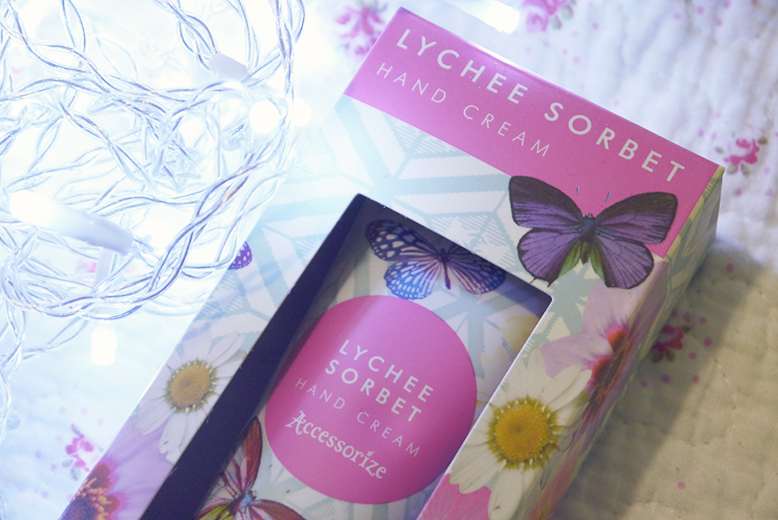 It's basically a dream team of natural products to soften and smooth dry hands which is a real issue for me in these winter months! For more info, see here.